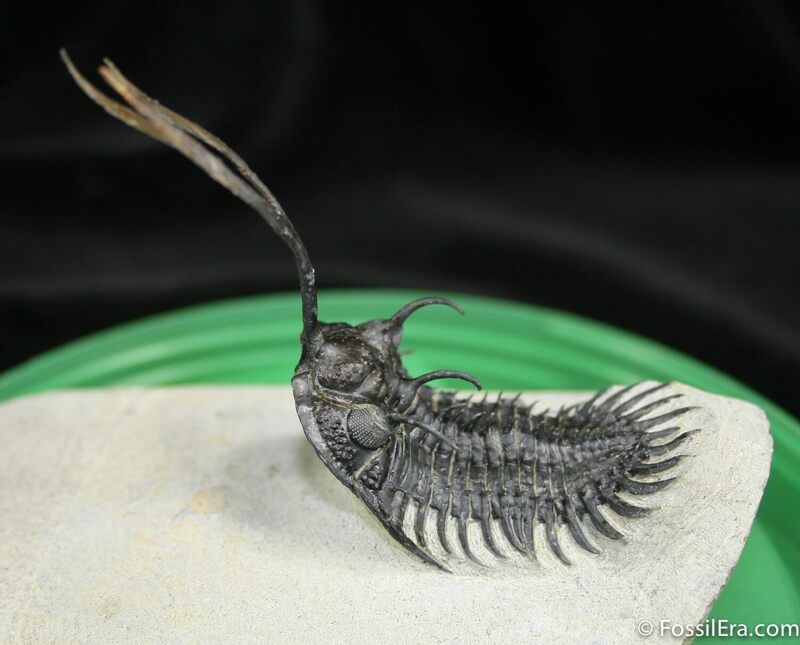 I've seen many questions about how the spiny trilobites from Morocco such as a Walliserops, Comura, or Koneprusia can be preserved with free standing spines after nearly 400 million years. 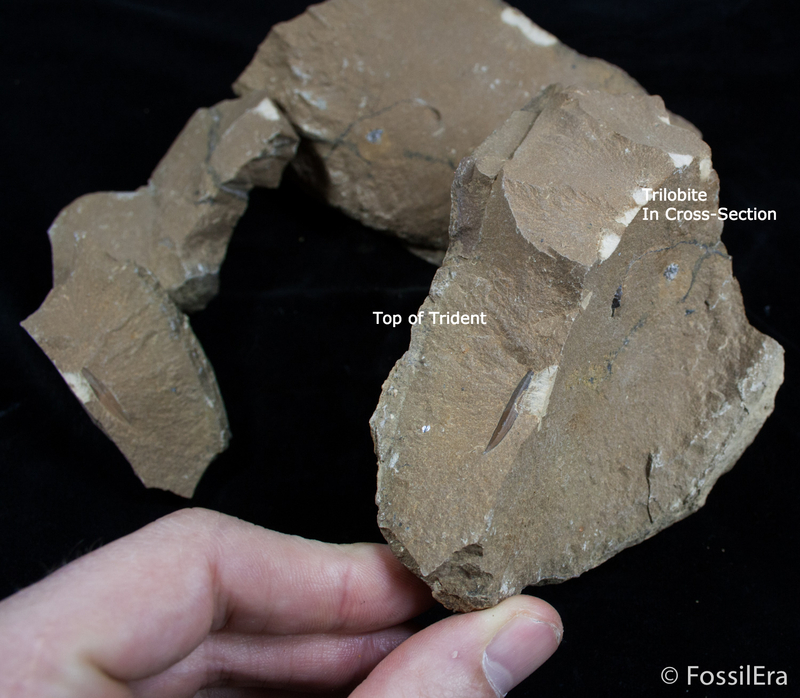 The answer is when they are found they are encased in solid limestone, and are found by literally sledgehammering blocks of limestone looking for cross sections of trilobites. 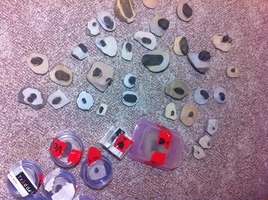 The pieces are then glued back together and the surrounding matrix (rock) is removed using air abrasive techniques (think minature sand blaster) under high magnification. 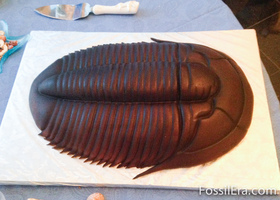 A well prepared trilobite of one of this species often takes in excess of 40 hours of work by a master preparitor. Not a task for the impatient person but the results can be spectacular. 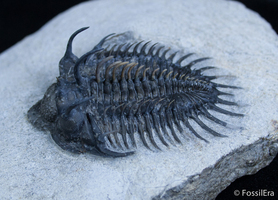 This is also the reason for the price on many of these trilobites, it's the preparation cost, more than the cost of the actual fossil you are paying for. 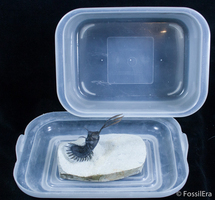 Here's an example of a spiny Walliserops trilobite in it's unprepared state. This is the one with long trident coming off of it's head and about 40 free standing spines. This particular specimen I'm planning to prepare sometime in the next month and will post a time lapse of the preparation process when I am done. 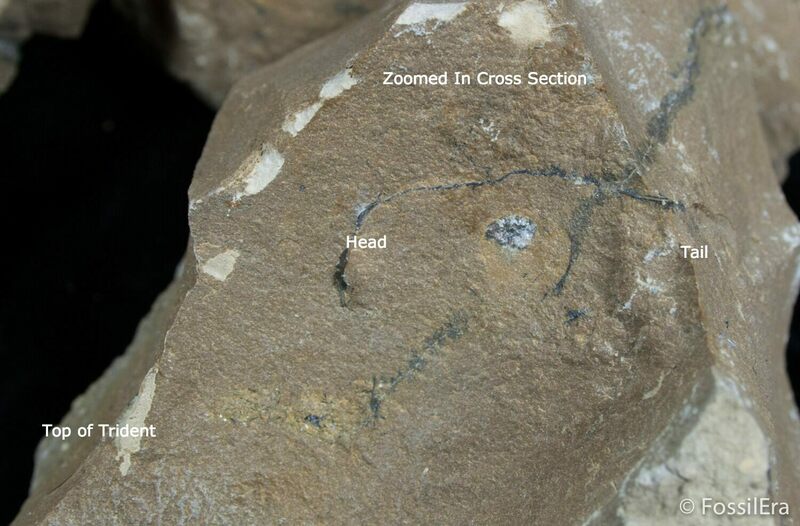 Here's another view zoomed in a little more on the cross section. Now you can see why you really need to know what you are looking for to find these things. After 40+ hours of tedious work this specimen will look something like this. 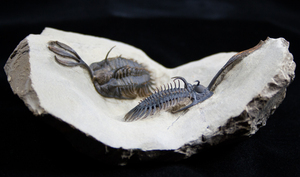 Note this is not the same specimen, it is the same species in a similar posture, and mode of preservation. 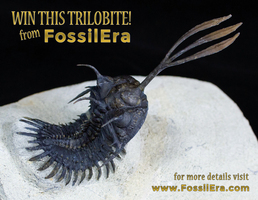 By the way we are also running a contest to giveaway a spectacular Walliserops trilobite during the month of march.